Emotional and intellectual Intimacy can be difficult to facilitate in an urban setting. 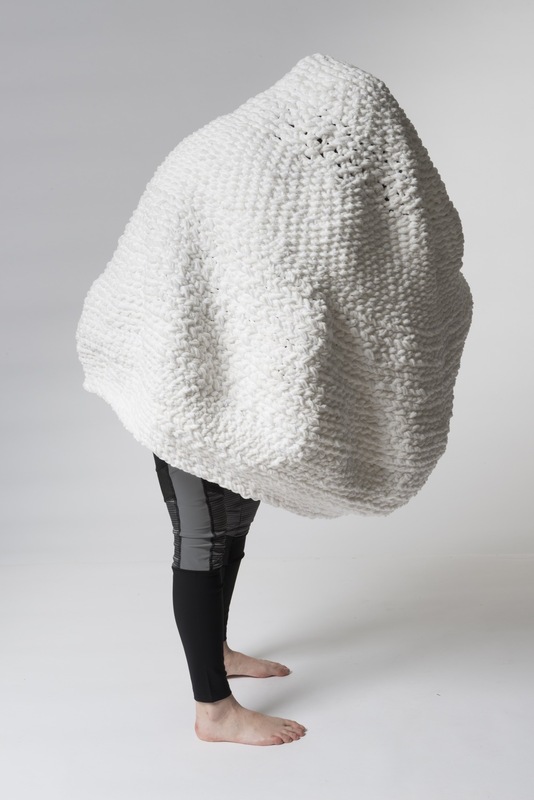 This piece creates personal architecture that can travel to create intimate space for the wearer and other participants. This coat was crafted from 3 found mens suits. Aspects of the original wearer can be felt from the fit of tailored areas of the original suits as well as what was left in various pockets. 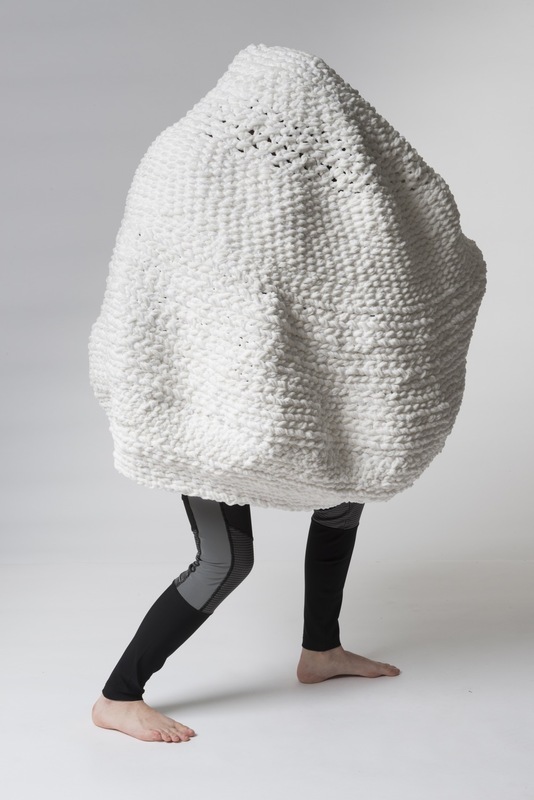 This garment asks what stories we tell when we get dressed. Inspired by medieval armor, this accessory applies the intentions of armor to the modern woman. Meant to shield and intimidate this piece separates the wearer from the average, and elevate their style with a chic reflective and muffling shoulder piece.